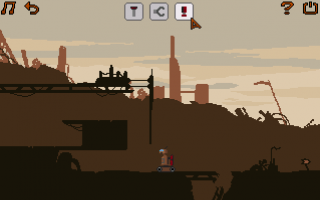 A short, point n'click, puzzle platformer about a solitary robot on an abandoned planet. I really loved this game. Beautiful pixel art, brilliant melancholic atmosphere and fun game mechanics. 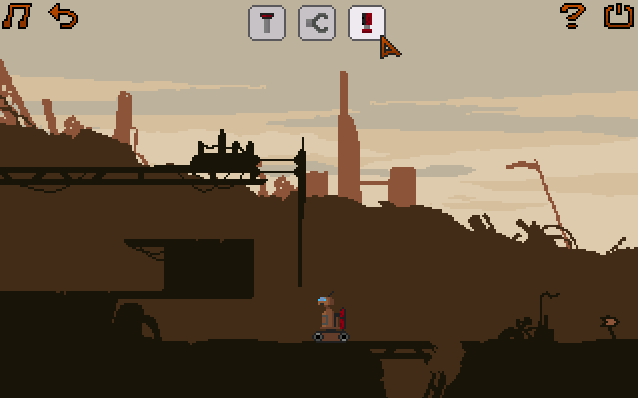 You are a robot on a strange dystopian planet and you have to find your way through a few levels by either using your magnet, grappling arm or booster to jump. Use these 3 basic interactions to proceed on a lost scrap planet. The backstory and idea revolves around some wall-e like robot, in the end you might even find your eve. Play the game, some fun puzzles keep you thinking while the game can be completed very fast, if not, think more, or use the longplay linked above.